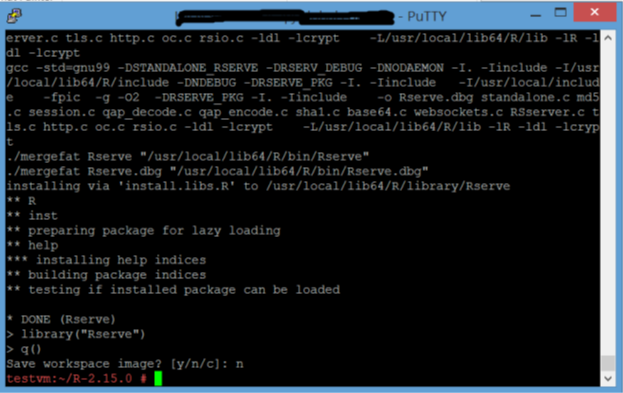 As outlined in the first blog, we will now install R and Rserve on the HCP Virtual Machine. Note: The scenario described in this blog is for testing and evaluation purposes only. It is done with a root user which should not be used for productive purposes. 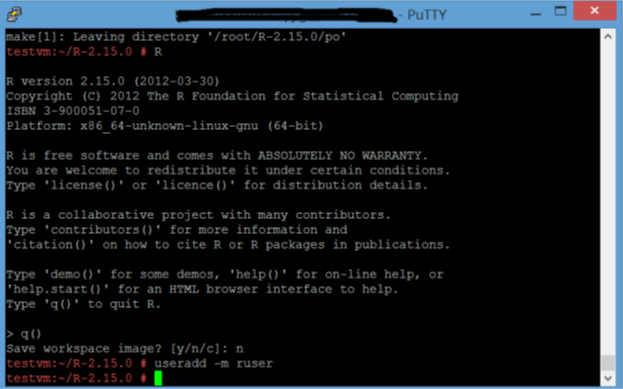 For productive scenarios, follow the official R Installation and Administration documentation. 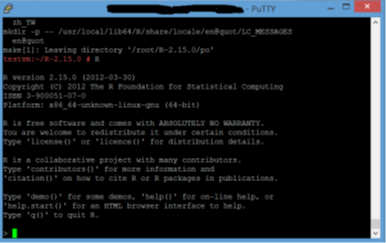 To install R for SAP HANA, you must compile the R package from its source code. 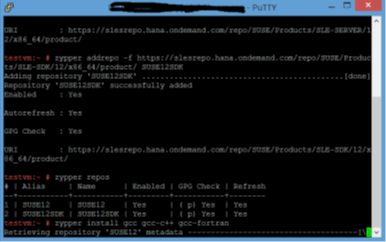 zypper addrepo -f https://slesrepo.hana.ondemand.com/repo/SUSE/Products/SLE-SDK/12/x86_64/product/ SUSE12SDKThe steps 1-2 are performed so that we can have the repositories required to install R.
3. Execute “zypper repos” to list all the added repositories. 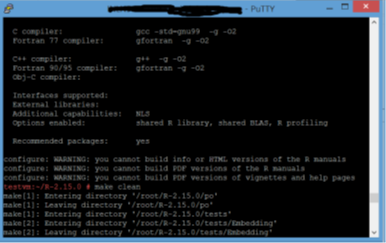 This command will Install the dependencies required for compiling R.
5. 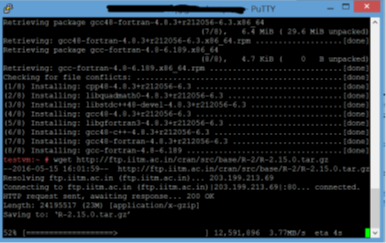 Press “1” and enter.When you execute the above step there are some versioning issue with gcc-fortran, to continue the installation you are provided with some solution. This step is done to downgrade the version by pressing the number of the solution as shown in the figure. 6. Press “y” and enter. This will retrieve the packages and install them. 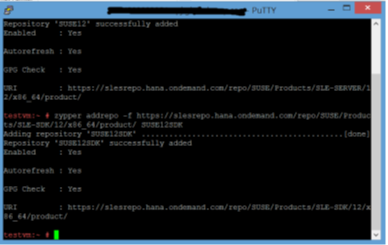 Note: For information about supported versions of R and Rserve, see SAP HANA and R compatibility and support. 8. 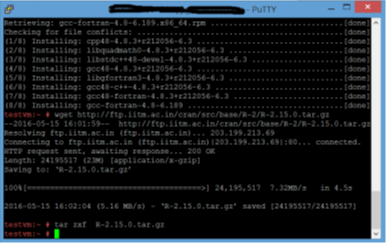 Extract the tar.gz file with the command tar zxf R-2.15.0.tar.gz. 12. 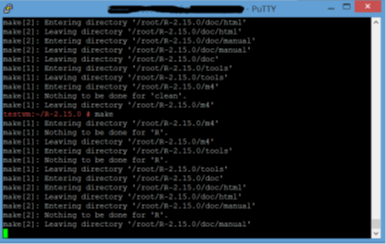 Execute “make clean” to compile R.
Note: This step might take some time. 15. 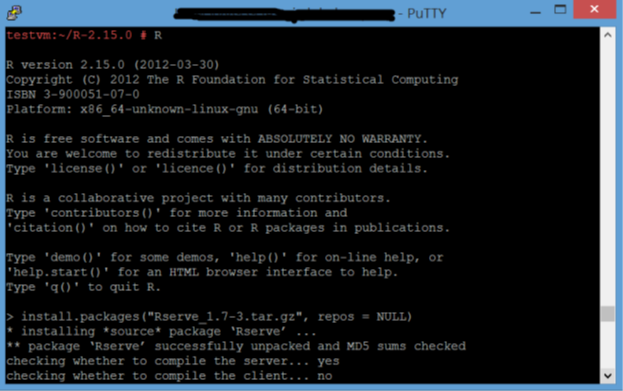 Execute “R” to check if R has been installed. 16. 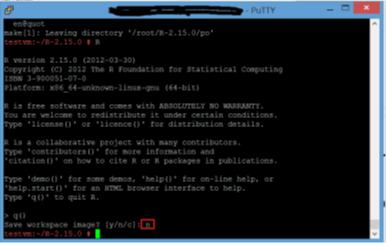 Execute q() to exit from R.
When prompted to Save workspace image: Press “n” and Enter. 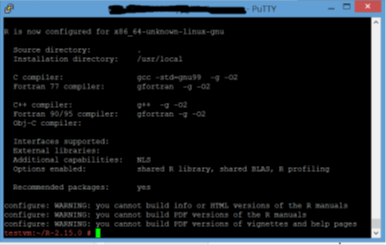 Summary: You have built R from source and installed it on the virtual machine. 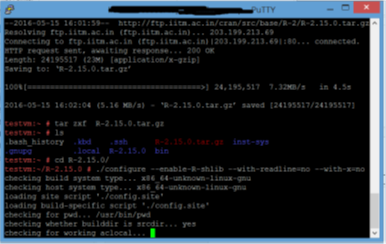 As a next step, we will install and configure Rserve which is a TCP/IP server which allows other programs to use facilities of R.
6. When prompted to Save Workspace image. Press “n” and then press the Enter key. 7. 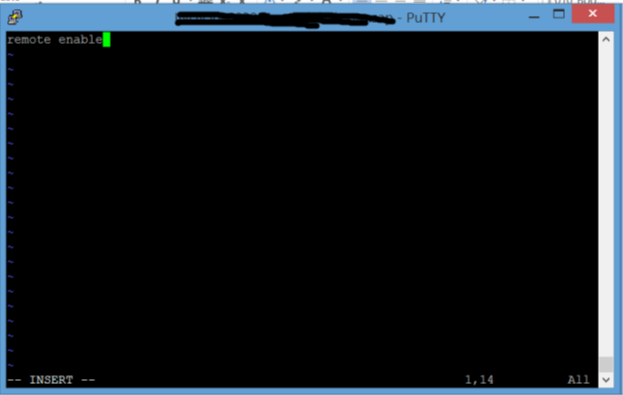 Execute vi /etc/Rserv.confFollow the steps below to insert and save the entry. Press the keys in the following order Esc<space>:wq! 8. 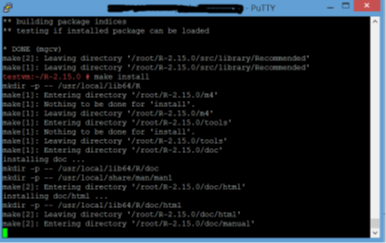 Execute useradd –m ruser to create a user. 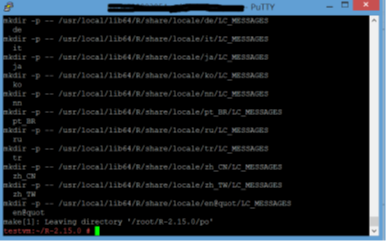 Once this is executed, Rserve has started in daemon mode. 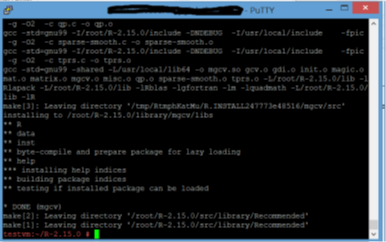 Note: This command will test whether Rserve is running or not. 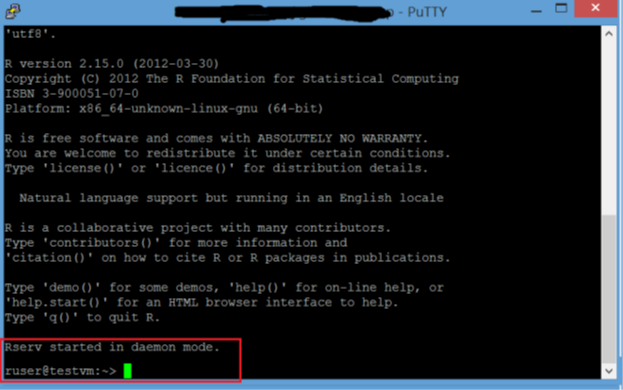 Summary: You have installed Rserve in your VM and successfully started it in daemon mode.